Download DVD Box Cover Mockup Free PSD. Showcase your CD Cover, CD / DVD Plastic case template & design projects, with this brilliant DVD Case Mockup PSD and impress your clients! A free DVD Box Cover Mockup that can be used for branding or music, video and game presentations. This realistic DVD Box Cover Mockup PSD features customizable CD cover and label design with changeable background color. DVD Box Cover Mockup Free PSD is based on Smart Objects, so that you can add your cd label and cover designs quickly and easily. Add this free DVD Box Cover Mockup PSD to your mockup collections, use it for your stationery and company branding projects, to showcase your music or video albums design, or whatever you like. You can easily edit both cover and cd label individually via smart layers. It’s quite simple! just replace the your case artwork inside smart objects with your own graphics. However, to quickly give you an idea of how to edit the smart objects of the mockup, Just double click on each of the smart objects, you’ll be able to customize the entire product by inserting your artwork into both the CD label and case cover art and after you are done, just click save and your new work automatically updates in the mockup. 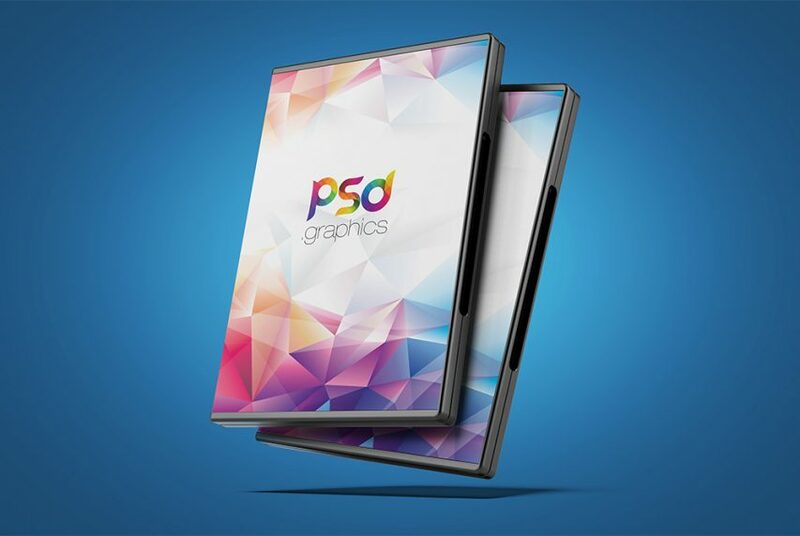 If you like you can download and use this DVD Box Cover Mockup Free PSD freely. Do not forget to Share if you found this helpful. All in all this DVD Cover Mockup Free PSD has a modern and elegant look. This layered PSD resources comes with Easy & customizable PSD file arranged in groups and named perfectly which can save the time to create your own mockup. You can modify this DVD Box Cover Mockup Free PSD. However you are free to use this Free PSD in your personal and commercial projects. If you are using this file please give some credits to psd.graphics .Anyway, hope you guys enjoy it and i hope this will help you benefit your project as well. Enjoy!